PNG is a Christian Country and with this in mind, it is vital that all Members of various denominations should and must feel obliged to treat all women and girls with more respect within our communities and churches. Church leaders did not only stress on this importance today, but on the fact that all human beings should be treated equal, not just women, but men and boys. 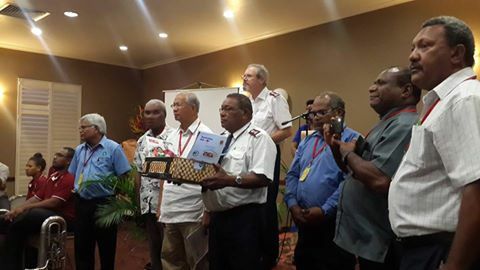 With this mind, the CHURCH PARTNERSHIP PROGRAM, consisting of all Church leaders in PNG today launched the first THEOLOGY of GENDER EQUALITY, which was then handed over to Government through the Community Development Office. The new theology basically highlights 10 pillars, one of which includes “BEING HUMAN IS A BIRTH RIGHT”, which simply means each person, no matter your culture, race or religion, has the same and equal right privilege to live in dignity and to be treated with respect. The theology states that the birth right for all culminates in the glorious scene in Revelation when John saw a large crowd with more people than could be counted.